Lose yourself in the magical world of No.1 bestselling author, Cecelia Ahern. Lucy Silchester is. She's busied herself with other stuff: friends' lives, work issues, her deteriorating car, that kind of thing. But she's stuck in a rut - and deluding everyone. Only Lucy knows the real truth. Time for a wake-up call - a meeting with life. And life turns out to be a kindly, rather run-down man in an old suit, who is determined to bring about change - and won't let Lucy off the hook. I found myself truly empathising with the main charcter. Wonderfully written. 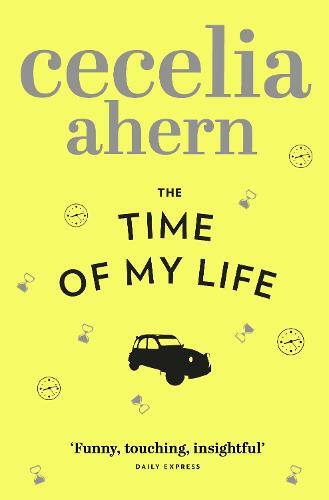 Just read Time of my Life by Cecelia Ahern. Never read her books before, although I have heard lots of good things about her. Really enjoyed it, funny, serious....makes you think of your life!